The Milbridge Public Library, like many public libraries, aims to support the community in as many ways as possible. Amanda has shared that she wants the library to become more of a community center so that “unserved” or “underserved” community residents come in and see all the wonderful resources and activities available to them. She proposed that I offer public tutoring in the library right before another community event I offer every Saturday in the library, now called “Milbridge Tabletop Gamers” (link to MTG blog article). Many of my former students have told me that I was able to teach them how to learn and be more self sufficient in their learning. They may struggle to recall forgotten information or ideas from the academic topics they have studied, but the ability to take charge of their learning has stuck with them. As I thought about the new library learning project, I knew I wanted to build a community learning experience through which participants could trust each other, were able to communicate or advocate for their learning needs, and were able to collaboratively learn about any topic. If such a learning community were well-established, I thought, there would eventually be little need for a leader to catalyze learning. Learners who asked for these support sessions, now known as the “Learners as Navigators” (LAN) project, were very eager to have someone to talk to about their studies. For example, two college students shared that although the college offers tutoring services, the help does not build independence or the student’s confidence in his or her ability to learn. Some said that tutors just showed them the finished work or simply derived the answers for them. Others said that the tutors’ judgemental language, or negative reactions to questions, discouraged them from fully sharing their learning needs. Those who came to the LAN sessions wanted a safe group that would allow for discussion, understanding, and a positive focus. Amanda advertised the program using the title, “Ask Ed”, in posters on the library’s Facebook page. She called community members who had previously requested help to tell them the dates and times of our new learning sessions. We held our first one on January 14th, 2017 and had two learners. The second one, a week later, had the same two learners, but more community members stopped to ask questions about what we were doing, and inquired about how to get involved. By the third week we had four people working together on their learning. Two participants are currently enrolled in college. Another, in his 50s, is enjoying being able to read and write for the first time. Another, now retired, wishes to become more competent with her computer. Although each person had specific individual questions and needs, they all found they had something to contribute to meeting the needs of others! When a learner was exploring the challenges of spelling some English sounds, others were able to offer personal experiences that helped. A Hispanic learner shared the difficulties of going from Spanish to English, and another learner shared similar experiences as she is trying to teach herself the Japanese language. Tips and challenges were shared. I could feel the trust building quickly! The Learners as Navigators community learning service is offered free to anyone. I volunteer my services, and the library offers the space, heat, electric, bathrooms and access to Internet-capable computers, as needed, when learners don’t have their own devices. We have not yet needed materials and equipment like paper, writing supplies, hardware, software, or textbooks. The human capital at the table has been able to meet all of our needs so far. A member of the Friends of the Library learned about our efforts, and there is discussion about possibly creating a fund to support needs that might come up. However, I do not feel that funding is necessary for the project to be successful. Although I donate two hours a week of my time to build this community project, if the groundwork is properly laid for a strong community, members will support each other in time. One of our learners raises fowl, and it is egg-laying time. Her family brought in over ten dozen eggs to share with our learners. The family knew the value of paying it forward and had a resource in excess to share with others. Little episodes like this bolster my belief that people investing time in other people will reap rewards; financial support is not always needed. One person cannot realistically meet every learner’s needs. I share that with everyone who comes to our sessions. Although the program does not charge fees, I do ask that all participants be open to helping others learn in our community. We all have experiences and skills to offer others. Our group constantly helps individuals identify those skills and experiences, and fosters the habits needed to share those skills with others. For example, I have shared with learners my advanced Google search skills to explore content that none of us were familiar with. Another example: a biology student needed to know more about the process of cellular respiration. The other learners, who were curious, joined us in our explorations. One of the college students who is studying biology got all of us exploring difficult science content. We were all discovering how we can learn this difficult vocabulary and put it in context, but this turned out to be difficult and we needed help. I called upon my social network get more clarity on the biological process of making and storing fat in the body. After a brief digital connection with a registered nurse in my social network, we were all saying, “Oh, that is all that technical stuff means? I now see what that term is referring to and what that process is doing …” Those who attend these sessions are learning the power of navigating and networking to meet their learning needs, drawing upon our own resources and sometimes the professionals and skilled tradespeople we know. Our community of learning has started off strong, and appears to have potential to grow. I have been excited by how eager students are to share their needs and be involved in discussions that meet the needs of others. We are learning that we are all more alike than we thought, and that we all struggle to learn at times. More importantly, we all can figure out solutions to the our learning challenges when we meet in our weekly community library learning navigator community. Ed Latham is a passionate educator with a masters degree in education and experience in K-12, community college, and adult education instruction. In addition to working as a technology support person in the local schools, he assists the state adult education team with College and Career Readiness Standards implementation, and works as a contractor to educationally support migrant families in his community. For a decade, he has been offering professional development to support teachers with technology integration and has mentored teachers to help expand learning options for all learners. Ed constantly brainstorms and discusses ways to offer positive, individualized learning experiences to all people in our communities. His email is ohgeer@gmail.com and he loves to communicate with others who wish to share ideas. Mayday! Mayday! Mayday! Adult Education Needed ASAP! This guest blog by researcher and international adult education consultant, Dr. Thomas Sticht, tgsticht@gmail.com, was posted on the AAACE-NLA Discussion List on April 30, 2016. It has been lightly edited and reprinted here with the permission of the author. May 1st is International Workers Day, also known as May Day, a day for celebrating the working men and women of the world as they labor for personal, family, and community development. Mayday is the international distress call for help. Today the distress call goes out from adults in the United States of America who are facing barriers to their personal and economic development. One of the most difficult barriers with which many adults must cope is limitations in knowledge and skill, indicated by low scores on any of a number of important standardized tests. For instance, a 2013 report, from Mission:Readiness, a national security organization of more than 600 retired generals, admirals and other senior retired military leaders advocating for educational improvements of children, reported that: “among young adults who do finish high school, 23 percent who seek to enlist in the Army cannot score highly enough on the military exams for math, literacy and problem-solving to be allowed to serve.” The organization then goes on to argue for more investments in early childhood education to prevent future under-educated adults. 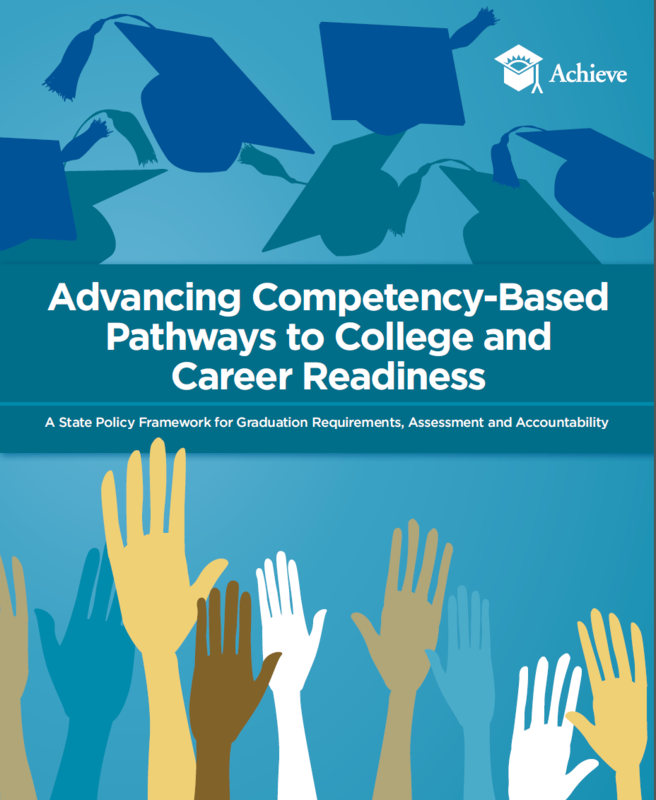 The importance of adult education for improving children’s educational achievement was recognized in a recent report from ReadyNation, a national nonpartisan group advocating for the improvement of children’s education. In this report ReadyNation called upon businesses to support parents’ engagement in early childhood. They argued: “When children don’t get off to the right start, it’s hard for them to catch up and become the productive adults we need. Society and businesses suffer when we let kids slip through the cracks. What do the most effective efforts to help young children succeed have in common? They work with parents.” Also see Sticht (2011) for a review of research supporting the call for adult parenthood education to improve the knowledge and skills of both adults and their children. Some 35 years ago I discussed the need to support the educational development of workers with low literacy and numeracy skills as a means of both raising the employability and productive abilities of the workforce while also improving the ability of workers who are parents in raising the educational achievement of their children (Sticht, 1983). In this report I presented findings from military R & D that had helped the armed services train and utilize under-educated, low-literate young men similar to those addressed by Mission:Readiness. I also discussed how this could be instrumental in increasing parents’ engagement in educational activities with their children, as discussed by ReadyNation. Given the importance of improved adult education for meeting national security needs, as argued by Mission:Readiness, and the signal importance of the education of adults in improving children’s educability and success in school as argued by ReadyNation, it is distressing to find that inflation-adjusted funding for adult literacy education at the federal level has declined across the last decade. A truly national disaster for under-served and under-educated parents and their children. In the words of Tom Nash, President of the Commission on Adult Basic Education (COABE), speaking of the 36 million or so adults with poorly developed literacy, numeracy, and problem solving abilities in the United States: “It’s bewildering that our nation doesn’t rally behind and insist on helping these adults. For every dollar invested in adult education, communities reap some $60 back in increased payroll and property taxes, reduced demand for social services and even savings on criminal justice and healthcare.” He could have easily added that millions of children could benefit from their parents’ newly developed knowledge and skills, too, thereby raising the return on investment in adult literacy education even higher. Mayday! Mayday! Mayday! Send in the adult educators ASAP! Nash, T. (2016, April 26). Close the Illiteracy Blind Spot With Adult Education. The Hill. (Available online using Google search). ReadyNation. (n.d.). Harnessing the Power of Parents to Support Our Youngest Learners. (Available online using Google search). Sticht, T. (2011). Getting It Right From the Start: The Case for Early Parenthood Education. (Available online using Google search). A MOOC, you may already know, is a Massive Open Online Course on a specific topic taken by hundreds or thousands of learners at the same time. They are generally free and, though often sponsored by post-secondary institutions, are not offered for credit, although for some MOOCs there are now ways of earning post-secondary or graduate level credit for a fee. Until recently, the primary audience for MOOCs has been well-educated adults who often take them for professional growth. These early adopters are building the “inner resilience” that Kop describes above, using new technologies to learn, and in doing so, preparing for the next wave of technological developments. Until now, most adult basic skills learners, who are in great need of opportunities for building such resilience, have yet to engage with MOOCs. Why should adult basic skills (including English language) learners use MOOCs? There is a huge divide in the United States between those who know how to use the Internet for learning or to access information and those who do not. [ii] Although some adults in the U.S. have high-level skills in using technology, the United States’ overall performance on the recent PIAAC international Survey of Adult Skills shows the U.S. to have the lowest problem solving using technology skills performance of all our peer countries. [iii] Between low and high socio-economic classes the difference in use of the Internet for accessing information has never been greater [iv], yet seventy percent of all jobs in the U.S. have been predicted to require some Information Communication Technology literacy. [v] To remain relevant, adult basic skills programs and teachers need to address this issue, finding ways to engage learners with the ever-changing technologies required to fully engage in economic and civic life. In other words, to help them build resilience to ward against alienation caused by ever increasing change. Could MOOCs be useful to adult learners for basic or secondary level, college prep, or English language skills? Are there MOOCs for educators who want to improve their skills in teaching or tutoring adults? Whether or not use of MOOCs can help the development of such resilience in adult basic skills learners depends on how you define a MOOC. Loosely defined, MOOCs could include any open-access information sharing and learning network. Under such a definition, some might describe Khan Academy as a MOOC, and it does offer free online basic math and science courses. Perhaps USA Learns could be described as a MOOC for English language learners. It’s free, and it has a massive number of participants although, unlike structured MOOCs, the participants are not considered part of one big cohort. There is some evidence of a trend that MOOCS will be designed or found useful for students at the pre-college or developmental skills levels. In 2012 the Gates Foundation funded the development of several MOOCs for college introductory and remedial education classes. They could be models for similar learning environments that could serve lower-literacy users. One example is the Gates Foundation-funded Crafting an Effective Writer: Tools of the Trade, developed by Mt. San Jacinto College for Coursera that can be found on the Mooc List. A recent example of the use of MOOCS by adults who have not completed high school is Peer 2 Peer University (P2PU) Learning Circles, now in 20 branches of the Chicago Public Library. They offer free MOOCS and other online courses facilitated by branch librarians in a blended learning model that includes face-to-face study circles that meet once a week. The audience for these is neighborhood adults who may never have heard of MOOCS, and often don’t know that there are free online courses. This library-based blended learning model has an impressive course completion rate, over 50%, compared with less than 15% completion for most MOOCs. Even for those who did not complete a course, nearly all of the participants said they wanted to take another course this way. P2PU’s Learning Circles are new; in the coming months P2PU hopes to offer more online courses designed for adult basic skills, secondary level skills and English language learning for immigrants. While there may not yet be many traditional MOOCs developed for adult basic skills learners, programs can begin to integrate new online learning technologies by tapping into a wealth of open-access information sharing and learning networks. One example of innovative online “courses” designed for adult basic skills students is The Learner Web. It uses a blended learning model that offers Learning Plans (courses) for adult basic skills learners as well as professional development for adult literacy and basic skills teachers and tutors. This online tool is a framework for exploring the World Wide Web – where learners are directed to relevant, level-appropriate websites and provided with instructional guidance about how to use them. Learners are encouraged to expand their knowledge by navigating to these carefully selected web-based learning resources, and then returning to the online course management system for instruction and assessment. The free online courses below may not call themselves MOOCs, and in some cases, for example Khan Academy and USA Learns, they are online instructional systems, but they have some of the same characteristics as MOOCs, such as being massive, open, and online, and used independently as well as in blended learning with face-to-face classes or study groups, They have all been used by adult basic skills learners. Digitallearn.org provides access to free, short (6-22 minute) online video-based instruction in English and Spanish on this Public Library Association and Institute of Museum and Library Services-sponsored website including: Technology (Getting Started on the Computer, Using a PC (Windows 7), Using a Mac (OS X), Basic Search, Navigating a Website, Intro to Email (two parts), Intro to Microsoft Word, and Cloud Storage); Work-readiness (Creating Resumes, and Online Job Searching); as well as An Intro to Facebook, Buying a Plane Ticket, and an Intro to Skype. GCF Learn Free provides free online courses and other free learning resources. Currently available classes as of early 2016 include: Microsoft Word, Excel, Excel Formulas, PowerPoint, Access. Other learning resource categories include: Technology (including Technology basics such as: Computers, Email basics, Internet Basics, Mac OS Windows, Online Safety and others), Reading, Math, Everyday Life, Work and Career, and Mobile Apps, among others. Khan Academy offers free online courses in: Math, science, computer programming, history, art, economics, and more . USA Learns offers a free video and print-based English language learning curriculum. It can be used by independent learners on their own or by teachers who can enroll classes of students, from desktop or laptop computers, and has been recently been optimized for smartphones and other portable digital devices. Designers for Learning, a 501(c)(3) nonprofit organization, offers a free MOOC to help educators develop Open Education Resources for adult basic education. Course participants examine the needs, goals, and constraints of their teaching context, including the intended learners and the instructional context. They describe their instructional solution, and then develop a prototype for formative evaluation. As the final assignment, they submit a complete unit of instruction. The Tutor Ready Learning Plan on the Learner Web, developed by a partnership of LINCS, and the California Libraries is a free, just-in-time professional development system for adult basic literacy tutors. It addresses authentic tutor questions in the major reading areas: Phonemic Awareness; Decoding; Fluency; Vocabulary; and Comprehension; as well as questions that come up in the first tutor-learner meeting. * David J. Rosen is President of Newsome Associates in Boston. He is Moderator of the LINCS Technology and Learning, and Program Management Communities of Practice, and President of the Media Library of Teaching Skills. * Jenifer Vanek is Interim Director of Project IDEAL, in the Ed Tech Center at World Education. She is also currently a doctoral student in Curriculum & Instruction/Second Languages & Cultures at the University of Minnesota. Her recent work centers on creating online content for Adult Basic Education (ABE) learners and supporting the professional development of ESL and ABE teachers in the area of digital literacy, distance learning, and adult career pathways. In competency-based education, holding learning standards constant means developing a set of clear and measurable or observable student learning objectives, intended learning outcomes, or competencies that all students enrolled in a course or other learning experience are expected to master. Mastery of the competencies is held constant for all students. It is expected that some students will take less time than in a normal cycle, term or semester, and some learners may take more time. Requiring students to master competencies (criterion-referenced assessment) instead of grading them on a curve (norm-referenced assessment) is not new; mastery learning was first proposed in the late 1960’s by University of Chicago Professor, Benjamin Bloom, who believed that it would reduce the achievement gaps between varying groups of students. It was a theory then; now, competency-based education has become a practical reality in many education environments, for example in language learning, teacher education, in some professional education such as medicine and dentistry, in career and technical education and increasingly in k-12 education. The curriculum (the set of competencies to be mastered, i.e. the learning objectives or intended learning outcomes), and the learning resources or activities intended to help learners achieve them, may be derived from academic content and skills standards, or from industry work-related content and skills standards, or both. Students are introduced to the curriculum in a thorough way early on in the course or other learning experience so that they can aim their learning with these competencies in mind, and easily and unambiguously recognize when they have (and haven’t) mastered them. This is a key feature for achieving effectiveness and efficiency in learning. Assessments of competencies use primarily direct measures. These include, for example, observations of performance or demonstration of skills or knowledge, but not indirect measures such as most multiple choice tests. The assessments, like the competencies, are presented to students early on, which can also help students to aim their learning. Typically the assessments, or in some cases the competency statements themselves, specify the conditions under which the knowledge or skills must be demonstrated. They also typically include the standard or level of performance expected to master each competency. The measures, and often the competencies, are so clearly described that instructors, students, employers, assessors[ii] or others have no uncertainty about what the competencies mean and whether or not students have satisfactorily demonstrated their mastery. Students take a pre-assessment at the beginning of the course or other learning experience to determine what competencies they need to focus on and what competencies they may have already mastered through other formal, nonformal or informal learning experiences. From this pre-assessment students can develop an individual (“personalized”) learning plan to focus on the competencies they need to work on. The pre-assessment and learning plan can help students to develop an efficient path to course or certificate completion. Because the competencies do not necessarily originate only from academic disciplines, but also from defined industry sector or local business needs, competency-based learning can be especially relevant to the workplace, workforce development, or career and technical education. Student transcripts, certificates and credentials are based not on credits or grades, but on reviewed and sometimes certified demonstration of skills and knowledge, and learned to a predefined standard of acceptability. [ii] In some competency-based programs, for example in the National External Diploma Program, or in some local competency-based adult diploma programs, to assure objective evaluation of student competency, the assessor role is not performed by the instructor. Note: the article below has two target audiences: librarians, and those interested in conducting needs assessments or needs analyses. I wrote it to be included in a set of tools for libraries conducting adult literacy needs assessments, and then thought there might be a larger audience interested in how to conduct a community literacy needs analysis. It is based on a process developed many years ago by professors at the School of Education at the University of Massachusetts Amherst, Richard Coffing and Thomas Hutchison. Hutchison was my mentor, and the chairman of my doctoral dissertation committee. As far as I know, their needs analysis methodology has not until now been adapted specifically for use by libraries. I welcome comments and questions about its use. The purpose of a needs analysis, in this context, is assumed to be: to develop a high quality list of needs, in order of priority, of adults in the community with low literacy or low basic skills that might be addressed by a library or a partnership of organizations led by a library. The resources (e.g. human, financial, programmatic, space) available to conduct the needs analysis. For example, the client may need resources to pay the needs analyst to work with the client, design the data gathering instruments, collect the data (e.g. through a survey, focus group, and/or face-to-face or telephone interview), and to provide a report to the client on the needs, and the differences in perceptions of needs of groups interviewed. The steps of the Needs Analysis Process that are described below. The needs analysis begins with a deceptively simple question: Who needs what according to whom. The process (methodology, as used by Coffing and Hutchison) assumes having a client who plans to use the data to address the needs, and whom the needs analyst can work with to design and complete the needs analysis. In this methodology, Who, What, and According to whom are three separate and important steps of the needs analysis process. In this needs analysis process, Who refers to those whose needs the client is interested in learning about; for example, in this context, it could be people who lack adult basic skills. The needs analyst might work with the client to refine this, for example, to identify the Who as adults 16 and older, who lack the reading and writing skills now expected of a high school graduate. This could be further broken down into those for whom English is a first language and/or those for whom English is a second or other language. It could be further refined to include levels of skills such as “zero reading and writing skills in English,” “basic” (up through third grade level reading and writing), “intermediate” (up to eighth grade) and advanced (through tenth grade level). Other ways to refine the Who are also possible depending on the client’s perceptions of the people they are trying to reach. The client might define the Who in a very different way for example, (also) deciding that the Who is community organizations or agencies that serve people with the need for literacy skills but that do not directly address that need, such as the staff of fair housing organizations, agencies that provide emergency services, health care providers, career centers, or agricultural extension programs. The client might instead decide that the Who is the library staff, and the needs what, for example, is staff members’ need to know about adult literacy needs in the community and literacy needs of current or potential library patrons, including the literacy needs of adults served by partner community organizations. If the same process is being used in libraries in several different communities it may be interesting to compare how each site defines the Who, and the definitions could be shared with each site as a Check for Completeness. A Check for Completeness is a strategy used throughout this, and also in other Hutchison methodologies to challenge the client to consider other items to include. For example, the needs analyst might ask if any of these considerations are important in defining the Who: age, gender, income level, employment status, first language, or reading and writing skills level. After participating in a check for completeness, the client may or may not decide to refine the definition of the Who. Prioritization is another strategy used throughout this and other Hutchison methodologies. In this example, suppose the defined Who is an impossibly long list of categories of those in need. It is important for the client and the needs analyst to know which ones are most important, especially if the resources to carry out the needs analysis and to address the needs are limited, which they almost always are. One prioritization strategy advocated by Hutchinson is to ask the client to look at the long list after it has already gone through a Check for Completeness, and prioritize it using these considerations: “Suppose you could only address one criterion from this list. What would it be?” “Now, suppose you could address two criteria…” and so on, depending on the level of resources available for the needs analysis and to address the needs. Sometimes Hutchison also suggests that the needs analyst could suggest considerations for prioritization, for example in this case: overall importance to the purpose for which the needs analysis is being conducted, or needs upon which other needs depend. The outcome of the Defining the Who step is a well thought-out and clearly defined population or populations whose needs will be assessed. The needs analyst asks the client to generate categories of need for the defined population in which the client is interested. In the library context, the client might suggest as a need category direct services to be provided by the library, either in the library or in community agencies, or both; for example: reading, writing, numeracy/math skills, English language learning for immigrants, or high school equivalency exam preparation. Confidence-building, especially if the population includes people who have attended years of school but have not learned to read and write, may be an important need for adults who want to acquire these skills. Some libraries may be interested in meeting community needs for digital literacy skills such as how to use the Internet, how to understand the format of web pages, how to navigate web pages, and how to evaluate the quality of information from the Internet as well as other sources. The client may suggest as a need category low-literate adults’ need for information, for example about eligibility for TANF or SNAP (food stamps) support, housing assistance, subsidized child care services, or about books for children or teens. If the client has a limited idea of the categories, a check for completeness may be useful, and might draw on what kinds of needs categories that the needs analyst knows other library literacy programs have tried to address. There are also Document Checks for Completeness, including for example in this context the Adult Literacy Through Libraries library literacy action agenda document, that can be searched for needs categories. A search might uncover needs categories such as: low-literacy hard copy and/or digital reading materials; suitable reading instructional materials; the loan of computers and/or portable digital devices (e.g. tablets or laptops); the need to access computers that have assistive technology and/or universal design features; the need to learn keyboarding skills; unique cultural needs; or the need to understand what services a library can provide, including what different staff members can offer to low-literate adults. Professional development for library staff, library graduate students, and/or community based adult literacy instruction providers, provided face-to-face, online or both, and including topics such as: library collection development for low-literate adults; library programming and services for adult new readers; plain language communications; library marketing, promotions, and outreach to adult learners; building community literacy collaborations; cultural competency and sensitivity training; or managing adult literacy tutor training. The outcome of the Needs What step is a list of categories of need that relate to the population(s) defined in the Who process. Most needs assessment or needs analysis processes include ways to define Who and Needs What categories. As far as I am aware, however, the Coffing-Hutchison methodology is unique in asking the client to consider whose opinion(s) matter. In this step, the client is asked whose opinions on the needs matter most to them: experts, such as basic skills teachers, adult literacy program administrators or researchers; the people with the need(s), such as community adults who have poor reading skills; policy makers, such as library board members or boards of other organizations, mayors, city councilors, governor, legislators, etc. ; or organization administrators, such as library administrators. If there is a long list of According to Whom groups, it needs to be prioritized. The outcome of the According to Whom step is a list, in order of priority, of those from whom needs opinion data will be gathered. What do you think the needs of low-literate adults are for reading? Why do they need to improve their reading skills? What specific reading skills do you think they need? What do you think the needs of low-literate adults are for writing? Why do they need to improve their reading skills? What specific writing skills do you think they need? What do you think the needs of adults with low basic math skills are? Why do they need to improve their math skills? What specific math skills do you think they need? What do you think the needs of adults with no or poor computer or Internet technology skills are? Why do they need to improve their computer or Internet skills? What specific skills do you think they need in order to use a computer or the Internet well? What do you think the needs of adults with low basic skills and little or no successful work experience are? Why do they need to improve their work readiness skills? What specific work readiness skills or knowledge do you think they need? Following the last question asked, participants will raise hands or dot vote to show what they believe to be the highest, second-highest and third-highest need categories. The person who is recording the answers to the questions on flip chart paper should have printed the need category (reading, writing, math, etc.) at the top of the sheet. The needs analyst could decide to only allow voting on the categories, or to also allow voting on the specific needs within a category. There are many ways of doing this depending on what the needs analyst believes the client wants to do with the data and how refined or detail it needs to be. For some clients it will be sufficient to know that “Reading” and/or “Job readiness” are the highest priorities; for others, they will want to know more, for example if what is needed is reading and writing skills to pass a high school equivalency exam, or oral and written English skills needed to pass a U.S. Citizenship test and oral interview. For each needs analysis data collection instrument used with each According to Whom group, the responses recorded in the notes, and their priorities are listed by the analyst. A reader of the analyst’s report should be able not only to see what needs categories (and specific needs) were mentioned, and what needs had the highest priority, but also how this may have differed among According to Whom groups. Ideally the needs analyst meets with the client (e.g. individual, staff of the organization, or representatives of the partnership of organizations) and walks through the report with them to make sure they understand the needs categories and needs. Following this, if time is available, it is often helpful if the needs analyst asks the client group what they have learned about the needs, what if anything they would still like to learn and, most important, which needs they believe are most important for them to address. Data is now available from the June 26, 2015 Pew Research Center Internet Survey, Americans’ Internet Access: 2000-2015. Below is my summary; however, before you read it, what two groups in America do you think have the lowest Internet access: women, older adults, low-income adults, African-Americans, Latino/Hispanic-Americans, Asian-Americans, those who lack a high school diploma, or those who live in rural areas? 84% of American adults now use the Internet. In 2000 it was a little over 50%. Note, however, that there has been little or no growth since 2012. Education and economic class differences affect access and use. “Those with college educations are more likely than those who do not have high school diplomas to use the internet. Similarly, those who live in households earning more than $75,000 are more likely to be internet users than those living in households earning less than $30,000. Still, the class-related gaps have shrunk dramatically in 15 years as the most pronounced growth has come among those in lower-income households and those with lower levels of educational attainment.” Note: 66% of those who have not completed high school, now use the internet. 74% of those with household incomes below $30K have Internet access. Racial and ethnic differences still matter but the gap has narrowed. “African-Americans and Hispanics have been somewhat less likely than whites or English-speaking Asian-Americans to be internet users, but the gaps have narrowed. Today, 78% of African-Americans and 81% of Latino/Hispanic-Americans use the internet, compared with 85% of whites and 97% of English-speaking Asian-Americans. Internet access for those in rural areas is still lower but the gap has narrowed. “Those who live in rural areas are less likely than those in the suburbs and urban areas to use the internet.” Only 78% of rural residents are online. Gender. There has been gender parity for fifteen years. If you wrote “older adults” (58%) and “those who lack a high school diploma” (66%) you’re right; these are the two groups with the lowest rate of Internet access. Although the digital divide has narrowed, for some groups it is still a big problem, and perhaps for people who fit two or more of the gap categories — older, lacking a high school diploma, low family income, residing in a rural area, African-American, Latino/Hispanic American – as many adult basic skills learners do, the gap could be even larger. Do any of the trends surprise you? I was surprised that although immigrants are mentioned, “immigrants” is not in itself an Internet access category. Help adult learners and their families to get low-cost computers and subsidized access to the Internet? Help teachers purchase low-cost Internet hotspots for their classes so that learners with BYO devices or with portable program-owned devices such as laptops, Chromebooks or digital tablets can access the Internet in class? Teach digital literacy, and problem solving skills in the context of technology-rich environments? Purchase and loan portable digital devices to students? Collaborate with local public libraries who could purchase and lend portable digital devices? Advocate for legislation that narrows the digital divide adult basic skills learners, for example, by providing free Internet hotspots in all low-income communities? Please reply below with your thoughts about what roles adult basic education should take on to help narrow the digital divide for adult learners. Consider sharing this blog article with your colleagues, and in your organization’s newsletter, but if you do, please let me know. Thanks.